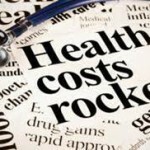 We have all heard the “doom and gloom” statistics about rising health care spending, and maybe even some of them have begun to sink in since the roll-out of the Affordable Care Act. For many reasons, the federal government is working to curb health care expenditures, but many of the processes currently attributed to “Obamacare” have been in the works for a long time. 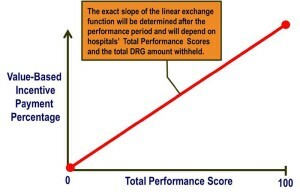 As an example, the Medicare Modernization Act of 2003 introduced the Inpatient Prospective Payment System; this system encouraged participating hospitals to voluntarily report performance data to avoid payment reductions. The Deficit Reduction Act of 2005 went further by mandating the development of what we now know as pay-for-performance or value-based purchasing (used interchangeably). 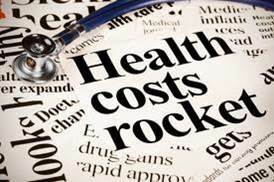 In 2012, the Institute of Medicine published “Best Care at Lower Cost: the Path to Continuously Learning Health Care in America.” In this report, recommendation 9 refers to performance transparency: making data related to “quality, prices and cost, and outcomes of care” available to consumers. What does this mean? Value-based purchasing in health care is supposed to reward better value, patient outcomes, and innovations – instead of just volume of services (read more). It is funded by participating institutions based on withholding a set percentage (1.25% currently) of their estimated annual Diagnosis-Related Group (DRG) payments from Center for Medicare and Medicaid Services (CMS). The percentage is increasing every year and will be 2% by 2017. For FY2014, the elements of value-based purchasing have been updated to include the Clinical Process of Care Domain, Patient Experience of Care Domain, and a new Outcomes Domain. The amount that each of these domains contributes to the eventual DRG payment return at the end of the year is 45%, 30%, and 25%, respectively. Scores in each domain are calculated based on an institution’s improvement compared to its own historical performance and a comparison against national benchmarks (read more). 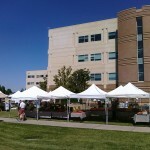 Anesthesiologists can also add value through cost savings for the hospital. More effective pain management can prevent inadvertent admissions or readmissions due to pain. In addition, an effective multimodal analgesic protocol can directly or indirectly prevent hospital-acquired conditions (HACs). HACs are considered by CMS to be “never events” and supposedly preventable (4); hospitals reporting HACs as secondary diagnoses are not entitled to CMS payments for related care. Examples of HACs include: urinary and vascular catheter-related infections, surgical site infections, DVT/PE, pressure ulcers, and inpatient falls leading to injury. There remains substantial controversy related to the potential association between regional anesthesia and inpatient falls (5, 6). We do know that falls, when they occur, are associated with worse outcomes for patients and higher resource utilization (7) and that falls may occur in lower extremity joint replacement patients with or without PNB (8). 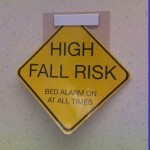 For these reasons, these patients should always be treated as high fall risk, and anesthesiologists can take the lead in developing fall prevention education and fall reduction programs to keep them safe. 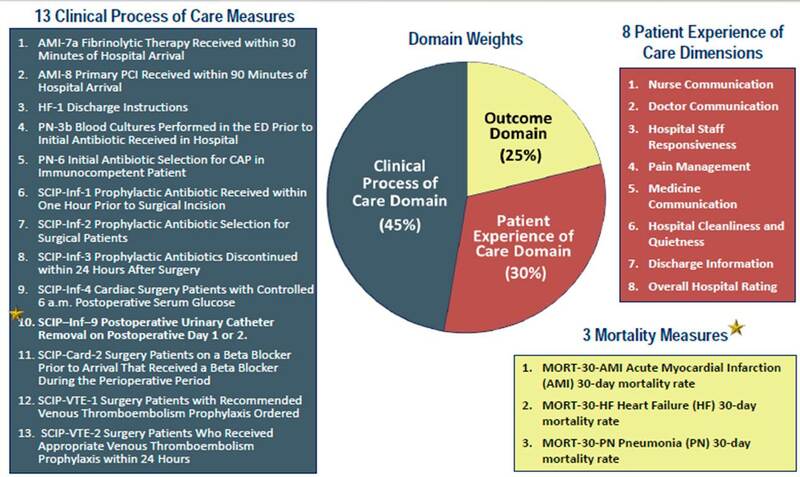 In summary, pay for performance in perioperative pain management is already here. The HCAHPS survey assesses the Patient Experience Domain and can be heavily influenced by the effectiveness of pain management. There are clear opportunities for anesthesiologists to take an active role in adding value and minimizing risks for surgical patients in the perioperative period. Mudumbai SC, Kim TE, Howard SK, Workman JJ, Giori N, Woolson S, Ganaway T, King R, Mariano ER. 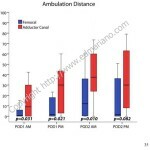 Continuous Adductor Canal Blocks Are Superior to Continuous Femoral Nerve Blocks in Promoting Early Ambulation After TKA. Clinical orthopaedics and related research 2014;472:1377-83. Ilfeld BM, Duke KB, Donohue MC. The association between lower extremity continuous peripheral nerve blocks and patient falls after knee and hip arthroplasty. Anesth Analg 2010;111:1552-4. Memtsoudis SG, Danninger T, Rasul R, Poeran J, Gerner P, Stundner O, Mariano ER, Mazumdar M. Inpatient falls after total knee arthroplasty: the role of anesthesia type and peripheral nerve blocks. Anesthesiology 2014;120:551-63. Memtsoudis SG, Dy CJ, Ma Y, Chiu YL, Della Valle AG, Mazumdar M. In-hospital patient falls after total joint arthroplasty: incidence, demographics, and risk factors in the United States. The Journal of arthroplasty 2012;27:823-8 e1. Johnson RL, Kopp SL, Hebl JR, Erwin PJ, Mantilla CB. Falls and major orthopaedic surgery with peripheral nerve blockade: a systematic review and meta-analysis. Br J Anaesth 2013;110:518-28. Among Medicare beneficiaries in the United States, the number of primary total knee arthroplasty (TKA) procedures from 1991 to 2010 increased by 161.5% (1). Postoperative pain remains one of patients’ top concerns when undergoing elective surgery (2) and can limit patients’ functional ability in the early postoperative period (3). Providing effective perioperative pain control has potential longer-term implications since early rehabilitation may lead to improvements in functional outcomes later on (4). With the ability to select specific targets for local anesthetic injection and infusion, regional anesthesia techniques, neuraxial and peripheral, are commonly included in the perioperative analgesic protocol for joint arthroplasty patients (5-11). While the data supporting the analgesic efficacy of regional anesthesia techniques in this setting are strongly positive, studies attempting to attribute functional outcome benefits to regional anesthesia demonstrate mixed results. The main challenge in assessing functional outcomes following joint replacement is the selection of outcomes; these can be divided into performance-based outcomes and self-reported outcomes (12, 13). Performance-based outcomes are measurable and arguably more objective, although often subject to effort. Examples of these outcomes and their units of measure include joint range of motion in degrees (e.g., flexion, extension, rotation); timed walking tests in meters (e.g., 6 minute walking test [6MWT], 2 minute walking test [2MWT]); muscle strength in units of force using a dynamometer (e.g., maximum voluntary isometric contraction [MVIC]); and timed up-and-go (TUG) in minutes (12, 13). Self-reported outcomes are typically survey-based; examples include the Western Ontario McMaster Universities Osteoarthritis Index (WOMAC), Knee Society Score, and Lower Extremity Functional Scale (12, 13). Since patient perception of successful rehabilitation is an important factor, self-reported outcomes should be reported with performance-based outcomes (12). 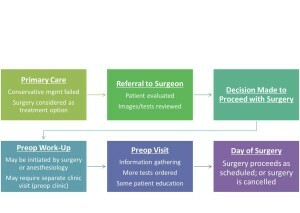 Another important challenge when measuring and comparing functional outcomes is that clinical pathways for joint arthroplasty that integrate pain management (including regional analgesia), physical therapy, nursing, and surgical care are often specific to individual institutions, and institutions may vary with respect to rehabilitation goals and the timeline to achieve them. Epidural analgesia has been used for perioperative pain management in joint replacement patients since at least the 1980s (14, 15). In 1987, Raj and colleagues compared postoperative systemic opioid analgesia to continuous epidural analgesia (bupivacaine 0.25% at 6-15 ml/hr) for TKA patients in a prospective non-randomized study (14). Although pain scores were lower in the epidural group, not surprisingly a high proportion of these patients experienced complete motor block of the lower extremities; although the authors mention “rigorous passive exercises,” specific rehabilitation outcomes were not reported (14). Later studies have reported functional benefits associated with continuous epidural analgesia, such as shorter time to achieve ambulation distance and range of motion goals, when compared to parenteral opioids alone (16). At institutions where continuous epidural analgesia is currently employed as part of a multimodal analgesic protocol, very low doses of local anesthetic (e.g., 0.06% bupivacaine) in combination with opioid are used in order to minimize motor block (17). The innervation of the knee is complex and involves contributions from both the lumbar and sacral plexuses. While epidural analgesia is effective, it is also associated with clinically-significant side effects (e.g., nausea/vomiting and motor block of the non-operative limb) (5, 18) and the potential for neuraxial hematoma in patients on pharmacologic thromboprophylaxis (19). Thus, peripheral nerve block options, either single-injection or continuous infusions, have been explored for postoperative pain management. Two early studies by Capdevila (6) and Singelyn (20) have shown continuous femoral nerve block (FNB) to provide comparable analgesia and physical therapy outcome achievement with fewer side effects when compared to epidural analgesia. Both of these studies also demonstrated shorter hospital length of stay for the regional anesthesia groups compared to an opioid-only group (6, 20), but hospitalization duration for these studies was, on average, greater than what has been reported in other studies (21). Triple-masked, placebo-controlled randomized clinical trials have shown that CPNB can shorten the time to achieve discharge criteria, including 100 m ambulation distance, for TKA (10, 22) and total hip arthroplasty (THA) (9) patients, but actual hospital duration was similar in these studies. One of the interesting findings from the Singelyn study was that regional anesthesia patients maintained a knee flexion advantage over the opioid-only group at 6 week follow-up (20); although this advantage did not remain at 3 months, this finding supported the potential for long-term functional improvement resulting from effective pain management and early rehabilitation in the immediate perioperative period (4). In a randomized comparison of continuous FNB to local infiltration analgesia (LIA) for TKA, the FNB group spent more time out of bed walking; at 6 weeks, the FNB group showed more improvement in performance-based (6MWT) and self-reported functional outcome assessments (23). In contrast, the one year follow-up studies of randomized clinical trial subjects (9, 10, 22) using self-reported outcome measures for functional status (WOMAC) did not show long-term improvement associated with regional anesthesia techniques (24-27). The rehabilitation outcome measured in the immediate postoperative period that correlates best with long-term functional improvement is not yet established. Ambulation distance is often measured by physical therapists and included in discharge criteria (9, 10, 22). For institutions that emphasize ambulation in their clinical pathway for lower extremity joint arthroplasty, a major concern raised with regard to FNBs is the potential association with increased fall risk (28, 29) although a recent large database study disputes this finding. 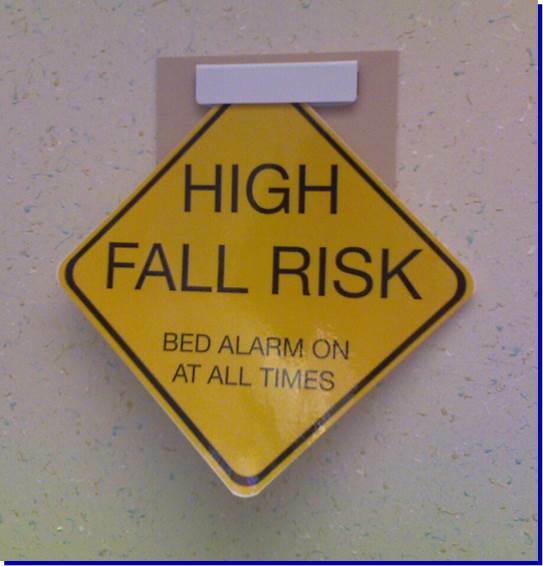 In-hospital falls can lead to prolonged hospital stays with higher costs and are associated with more frequent postoperative complications, including serious organ system dysfunction and death (30). With currently-available local anesthetic solutions and typical doses, perineural infusion does produce clinically-significant quadriceps weakness when administered near the femoral nerve or lumbar plexus (31, 32). Since the local anesthetics themselves cannot select sensory over motor nerves( 33), anesthesiologists have started exploring alternate nerve block locations to minimize the risk of motor block and maximize patient rehabilitation. For TKA, a more distal nerve block location in the adductor canal can provide effective analgesia postoperatively (34) and has been shown to better preserve quadriceps strength compared to a FNB in both volunteers (35) and clinical patients (11). Regional analgesic techniques are only one part of the overall pain management plan. While they are often included in multimodal analgesic protocols along with non-steroidal anti-inflammatory drugs (NSAIDs), acetaminophen, and low-dose opioids (36), there is a growing body of evidence to support the adductor canal block as the regional analgesic technique of choice for promoting postoperative ambulation within a clinical pathway (37, 38). Cram P, Lu X, Kates SL, Singh JA, Li Y, Wolf BR. Total knee arthroplasty volume, utilization, and outcomes among Medicare beneficiaries, 1991-2010. JAMA. Sep 26 2012;308(12):1227-1236. Macario A, Weinger M, Carney S, Kim A. 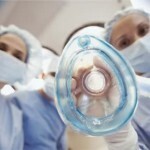 Which clinical anesthesia outcomes are important to avoid? The perspective of patients. Anesth Analg. Sep 1999;89(3):652-658. Holm B, Kristensen MT, Myhrmann L, et al. 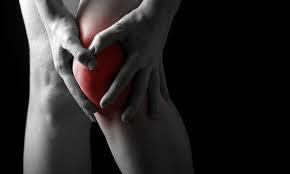 The role of pain for early rehabilitation in fast track total knee arthroplasty. Disability and rehabilitation. 2010;32(4):300-306. Munin MC, Rudy TE, Glynn NW, Crossett LS, Rubash HE. Early inpatient rehabilitation after elective hip and knee arthroplasty. JAMA. Mar 18 1998;279(11):847-852. Barrington MJ, Olive D, Low K, Scott DA, Brittain J, Choong P. Continuous femoral nerve blockade or epidural analgesia after total knee replacement: a prospective randomized controlled trial. Anesth Analg. Dec 2005;101(6):1824-1829. Capdevila X, Barthelet Y, Biboulet P, Ryckwaert Y, Rubenovitch J, d’Athis F. Effects of perioperative analgesic technique on the surgical outcome and duration of rehabilitation after major knee surgery. Anesthesiology. Jul 1999;91(1):8-15. Chelly JE, Greger J, Gebhard R, et al. Continuous femoral blocks improve recovery and outcome of patients undergoing total knee arthroplasty. J Arthroplasty. Jun 2001;16(4):436-445. Hebl JR, Dilger JA, Byer DE, et al. A pre-emptive multimodal pathway featuring peripheral nerve block improves perioperative outcomes after major orthopedic surgery. Reg Anesth Pain Med. Nov-Dec 2008;33(6):510-517. Ilfeld BM, Ball ST, Gearen PF, et al. Ambulatory continuous posterior lumbar plexus nerve blocks after hip arthroplasty: a dual-center, randomized, triple-masked, placebo-controlled trial. Anesthesiology. Sep 2008;109(3):491-501. Ilfeld BM, Le LT, Meyer RS, et al. Ambulatory continuous femoral nerve blocks decrease time to discharge readiness after tricompartment total knee arthroplasty: a randomized, triple-masked, placebo-controlled study. Anesthesiology. Apr 2008;108(4):703-713. Jaeger P, Zaric D, Fomsgaard JS, et al. Adductor canal block versus femoral nerve block for analgesia after total knee arthroplasty: a randomized, double-blind study. Reg Anesth Pain Med. Nov-Dec 2013;38(6):526-532. Choi S, Trang A, McCartney CJ. Reporting functional outcome after knee arthroplasty and regional anesthesia: a methodological primer. Reg Anesth Pain Med. Jul-Aug 2013;38(4):340-349. Bernucci F, Carli F. Functional outcome after major orthopedic surgery: the role of regional anesthesia redefined. Curr Opin Anaesthesiol. Oct 2012;25(5):621-628. Raj PP, Knarr DC, Vigdorth E, et al. Comparison of continuous epidural infusion of a local anesthetic and administration of systemic narcotics in the management of pain after total knee replacement surgery. Anesth Analg. May 1987;66(5):401-406. Pettine KA, Wedel DJ, Cabanela ME, Weeks JL. The use of epidural bupivacaine following total knee arthroplasty. Orthopaedic review. Aug 1989;18(8):894-901. Mahoney OM, Noble PC, Davidson J, Tullos HS. The effect of continuous epidural analgesia on postoperative pain, rehabilitation, and duration of hospitalization in total knee arthroplasty. Clin Orthop Relat Res. Nov 1990(260):30-37. YaDeau JT, Cahill JB, Zawadsky MW, et al. The effects of femoral nerve blockade in conjunction with epidural analgesia after total knee arthroplasty. Anesth Analg. Sep 2005;101(3):891-895, table of contents. Zaric D, Boysen K, Christiansen C, Christiansen J, Stephensen S, Christensen B. A comparison of epidural analgesia with combined continuous femoral-sciatic nerve blocks after total knee replacement. Anesth Analg. Apr 2006;102(4):1240-1246. Horlocker TT, Wedel DJ, Rowlingson JC, et al. Regional anesthesia in the patient receiving antithrombotic or thrombolytic therapy: American Society of Regional Anesthesia and Pain Medicine Evidence-Based Guidelines (Third Edition). Reg Anesth Pain Med. Jan-Feb 2010;35(1):64-101. Singelyn FJ, Deyaert M, Joris D, Pendeville E, Gouverneur JM. Effects of intravenous patient-controlled analgesia with morphine, continuous epidural analgesia, and continuous three-in-one block on postoperative pain and knee rehabilitation after unilateral total knee arthroplasty. Anesth Analg. Jul 1998;87(1):88-92. Salinas FV, Liu SS, Mulroy MF. The effect of single-injection femoral nerve block versus continuous femoral nerve block after total knee arthroplasty on hospital length of stay and long-term functional recovery within an established clinical pathway. Anesth Analg. Apr 2006;102(4):1234-1239. Ilfeld BM, Mariano ER, Girard PJ, et al. A multicenter, randomized, triple-masked, placebo-controlled trial of the effect of ambulatory continuous femoral nerve blocks on discharge-readiness following total knee arthroplasty in patients on general orthopaedic wards. Pain. Sep 2010;150(3):477-484. Carli F, Clemente A, Asenjo JF, et al. Analgesia and functional outcome after total knee arthroplasty: periarticular infiltration vs continuous femoral nerve block. Br J Anaesth. Aug 2010;105(2):185-195. Ilfeld BM, Shuster JJ, Theriaque DW, et al. Long-term pain, stiffness, and functional disability after total knee arthroplasty with and without an extended ambulatory continuous femoral nerve block: a prospective, 1-year follow-up of a multicenter, randomized, triple-masked, placebo-controlled trial. Reg Anesth Pain Med. Mar-Apr 2011;36(2):116-120. Morin AM, Kratz CD, Eberhart LH, et al. Postoperative analgesia and functional recovery after total-knee replacement: comparison of a continuous posterior lumbar plexus (psoas compartment) block, a continuous femoral nerve block, and the combination of a continuous femoral and sciatic nerve block. Reg Anesth Pain Med. Sep-Oct 2005;30(5):434-445. Ilfeld BM, Ball ST, Gearen PF, et al. Health-related quality of life after hip arthroplasty with and without an extended-duration continuous posterior lumbar plexus nerve block: a prospective, 1-year follow-up of a randomized, triple-masked, placebo-controlled study. Anesth Analg. Aug 2009;109(2):586-591. Ilfeld BM, Meyer RS, Le LT, et al. Health-related quality of life after tricompartment knee arthroplasty with and without an extended-duration continuous femoral nerve block: a prospective, 1-year follow-up of a randomized, triple-masked, placebo-controlled study. Anesth Analg. Apr 2009;108(4):1320-1325. Feibel RJ, Dervin GF, Kim PR, Beaule PE. Major complications associated with femoral nerve catheters for knee arthroplasty: a word of caution. J Arthroplasty. Sep 2009;24(6 Suppl):132-137. Ilfeld BM, Duke KB, Donohue MC. The association between lower extremity continuous peripheral nerve blocks and patient falls after knee and hip arthroplasty. Anesth Analg. Dec 2010;111(6):1552-1554. Memtsoudis SG, Dy CJ, Ma Y, Chiu YL, Della Valle AG, Mazumdar M. In-hospital patient falls after total joint arthroplasty: incidence, demographics, and risk factors in the United States. J Arthroplasty. Jun 2012;27(6):823-828 e821. Charous MT, Madison SJ, Suresh PJ, et al. Continuous femoral nerve blocks: varying local anesthetic delivery method (bolus versus basal) to minimize quadriceps motor block while maintaining sensory block. Anesthesiology. Oct 2011;115(4):774-781. Ilfeld BM, Moeller LK, Mariano ER, et al. Continuous peripheral nerve blocks: is local anesthetic dose the only factor, or do concentration and volume influence infusion effects as well? Anesthesiology. Feb 2010;112(2):347-354. Ilfeld BM, Yaksh TL. The end of postoperative pain–a fast-approaching possibility? And, if so, will we be ready? Reg Anesth Pain Med. Mar-Apr 2009;34(2):85-87. Lund J, Jenstrup MT, Jaeger P, Sorensen AM, Dahl JB. Continuous adductor-canal-blockade for adjuvant post-operative analgesia after major knee surgery: preliminary results. Acta Anaesthesiol Scand. Jan 2011;55(1):14-19. Jaeger P, Nielsen ZJ, Henningsen MH, Hilsted KL, Mathiesen O, Dahl JB. Adductor Canal Block versus Femoral Nerve Block and Quadriceps Strength: A Randomized, Double-blind, Placebo-controlled, Crossover Study in Healthy Volunteers. Anesthesiology. Feb 2013;118(2):409-415. Practice guidelines for acute pain management in the perioperative setting: an updated report by the American Society of Anesthesiologists Task Force on Acute Pain Management. Anesthesiology. Feb 2012;116(2):248-273. Perlas A, Kirkham KR, Billing R, et al. The impact of analgesic modality on early ambulation following total knee arthroplasty. Reg Anesth Pain Med. Jul-Aug 2013;38(4):334-339. Mudumbai SC, Kim TE, Howard SK, et al. Continuous adductor canal blocks are superior to continuous femoral nerve blocks in promoting early ambulation after TKA. Clin Orthop Relat Res. 2014 May;472(5):1377-83. 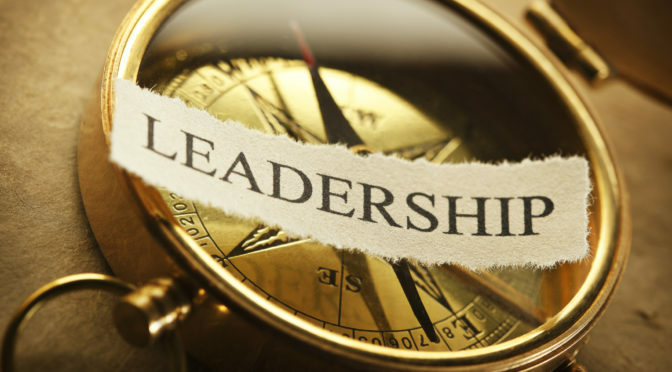 Since 2012, the American Society of Anesthesiologists has promoted the Perioperative Surgical Home model in which anesthesiologists function as leaders in the coordination of perioperative care for surgical patients to improve outcomes (1,2). 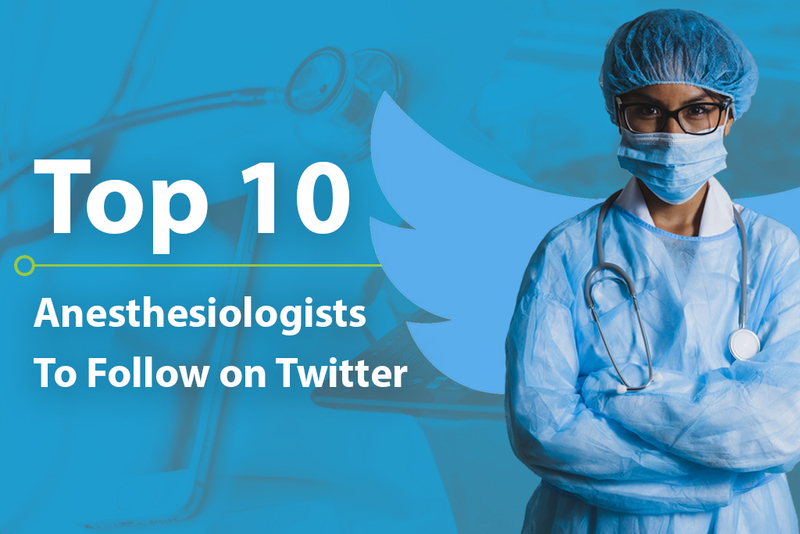 While anesthesiologists globally have had similar interests over the years, the unifying challenge continues to be the selection of outcomes and demonstration of improvement due to the anesthesiologist’s role and/or choice of anesthetic or analgesic technique. Since the types of outcomes and frequency of occurrence vary widely, a comprehensive discussion of perioperative outcomes is beyond the scope of this summary. Therefore, this review will focus on select anesthesiologist-driven factors related to acute pain management and anesthetic technique on perioperative outcomes and potential research directions. For anesthesiologists, avoiding adverse events of the lowest frequency (death, recall, and nerve injury) receives highest priority with death ranking first among complications to avoid (3). Studies involving rare outcomes, positive or negative, will invariably require accumulation of “big data.” Such studies must either involve multiple institutions over a long study period (if prospective) or access data involving a large cohort of patients for retrospective studies; these study designs involving longitudinal data may also require advanced statistical methods (4). For example, Memtsoudis and colleagues sought to evaluate postoperative morbidity and mortality for lower extremity joint arthroplasty patients in a recent study (5). 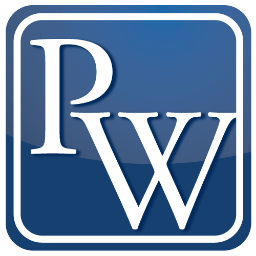 They utilized a large nationwide administrative database maintained by Premier Perspective, Inc. (Charlotte, NC, USA); the study data were gathered from 382,236 patients in approximately 400 acute care hospitals throughout the United States over 4 years (5). Other retrospective cohort studies comparing the occurrence of perioperative complications such as surgical site infections, cardiopulmonary morbidity, and mortality have used the American College of Surgeons National Surgical Quality Improvement Project (NSQIP) (6-8). 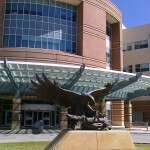 NSQIP originally started within the Veterans Health Administration (VHA) system in the 1980s with a small sample of hospitals; this project, which included public reporting of outcomes data, eventually expanded to include all VHA surgical facilities and others outside the VHA system (9). 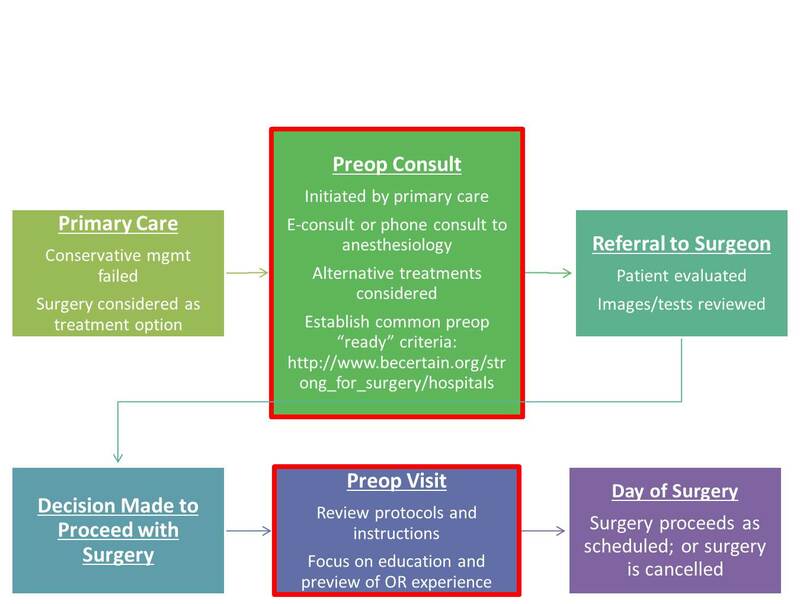 Multi-center prospective registries such as the SOS Regional Anesthesia Hotline (10, 11) and AURORA (12, 13) have been developed for outcomes research and have reported the occurrence rates of rare complications related to regional anesthesia. The disadvantages to these data-driven studies include lack or randomization introducing potential bias, missing or incorrectly coded data, inability to draw conclusions regarding causation, and restrictions to access such as information security issues and/or cost (e.g., the Premier database). However, these retrospective cohort database studies may offer large samples sizes and administrative data from actual “real world” patients over a longer period of time and may identify important associations that influence clinical practice and generate hypotheses for future prospective studies. Based on the study by Memtsoudis and colleagues, overall 30-day mortality for lower extremity arthroplasty patients is lower for patients who receive neuraxial and combined neuraxial-general anesthesia compared to general anesthesia alone (5). In most categories, the rates of occurrence of in-hospital complications are also lower for the neuraxial and combined neuraxial-general anesthesia groups vs. the general anesthesia group, and transfusion requirements are lowest for the neuraxial group compared to all other groups (5). Studies using NSQIP have reported no difference in 30-day mortality for carotid endarterectomy patients associated with anesthetic technique although regional anesthesia patients are more likely to have a shorter operative time and next-day discharge (8); similarly, there is no difference in 30-day mortality for endovascular aortic aneurysm repair although general anesthesia patients are more likely to have longer length of stay and pulmonary complications (14). In a relatively-small matched retrospective study, Exadaktylos and colleagues have reported lower rates of recurrence and metastasis for breast cancer surgery patients who receive paravertebral analgesia vs. conventional systemic opioids (15). 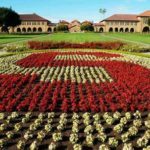 Although the exact mechanism was not well-understood at that time (regional anesthesia vs. reduction in the use of anesthetic agents and opioids), clinical and basic science research in this area has grown rapidly and has demonstrated mixed results. A follow-up study involving 503 patients who underwent abdominal surgery for cancer and were previously enrolled in a large multi-center clinical trial (16) and a retrospective database study of 424 colorectal cancer patients who underwent laparoscopic resection (17) have not shown a difference in recurrence-free survival or mortality. A recent meta-analysis including 14 prospective and retrospective studies involving cancer patients (colorectal, ovarian, breast, prostate, and hepatocellular) demonstrates a positive association between epidural analgesia and overall survival but no difference in recurrence-free survival compared to general anesthesia with opioid analgesia (18). Chronic pain may develop after many common operations including breast surgery, hernia repair, thoracic surgery, and amputation and is associated with severe acute pain in the postoperative period (19). While regional analgesic techniques are effective for acute pain management, currently-available data are inconclusive with regard to their ability to prevent the development of persistent postsurgical pain (20-22). There is an opportunity to use larger databases to investigate this issue further. In 2010, the American Society of Regional Anesthesia and Pain Medicine published a series of articles presenting the evidence basis for ultrasound in regional anesthesia (23). According to the article focused on patient safety, evidence at the time suggested that ultrasound may decrease the incidence of minor adverse events (e.g., hemidiaphragmatic paresis from interscalene block or inadvertent vascular puncture), but serious complications such as local anesthetic systemic toxicity (LAST) and nerve injury did not occur at different rates based on the nerve localization technique (24). Since then, a large prospective multi-center registry study has shown that the use of ultrasound in regional anesthesia does reduce the incidence of LAST compared to traditional techniques (13). Similar methodology may be applied to other rare complications associated with anesthetic interventions. 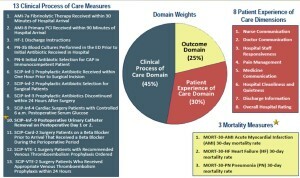 Approximately 31% of costs related to inpatient perioperative care is attributable to the ward admission (25). Anesthesiologists as perioperative physicians have an opportunity to influence the cost of surgical care by decreasing hospital length of stay through effective pain management and by developing coordinated multi-disciplinary clinical pathways (26, 27). Vetter TR, Goeddel LA, Boudreaux AM, Hunt TR, Jones KA, Pittet JF. The Perioperative Surgical Home: how can it make the case so everyone wins? BMC anesthesiology. 2013;13:6. Vetter TR, Ivankova NV, Goeddel LA, McGwin G, Jr., Pittet JF. 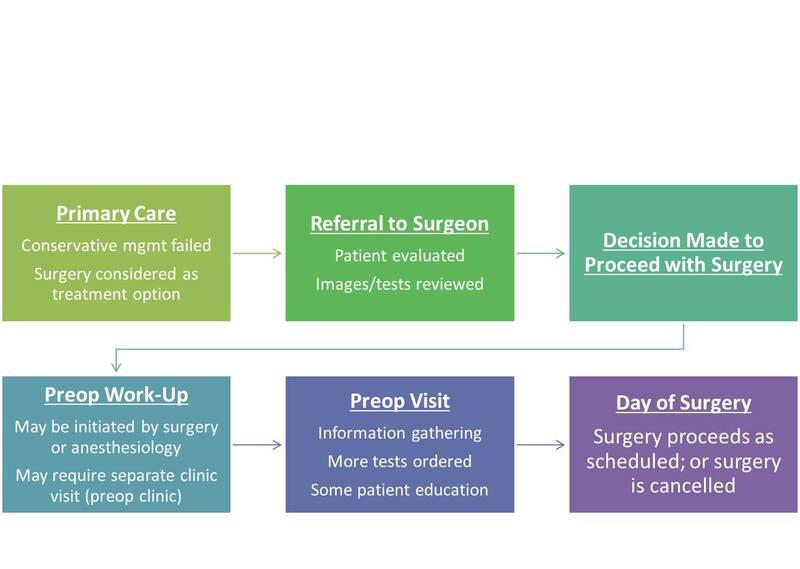 An Analysis of Methodologies That Can Be Used to Validate if a Perioperative Surgical Home Improves the Patient-centeredness, Evidence-based Practice, Quality, Safety, and Value of Patient Care. Anesthesiology. Dec 2013;119(6):1261-1274. Macario A, Weinger M, Truong P, Lee M. Which clinical anesthesia outcomes are both common and important to avoid? The perspective of a panel of expert anesthesiologists. Anesth Analg. May 1999;88(5):1085-1091. Ma Y, Mazumdar M, Memtsoudis SG. Beyond repeated-measures analysis of variance: advanced statistical methods for the analysis of longitudinal data in anesthesia research. Reg Anesth Pain Med. Jan-Feb 2012;37(1):99-105. Memtsoudis SG, Sun X, Chiu YL, et al. Perioperative comparative effectiveness of anesthetic technique in orthopedic patients. Anesthesiology. May 2013;118(5):1046-1058. Liu J, Ma C, Elkassabany N, Fleisher LA, Neuman MD. Neuraxial anesthesia decreases postoperative systemic infection risk compared with general anesthesia in knee arthroplasty. Anesth Analg. Oct 2013;117(4):1010-1016. 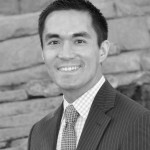 Radcliff TA, Henderson WG, Stoner TJ, Khuri SF, Dohm M, Hutt E. Patient risk factors, operative care, and outcomes among older community-dwelling male veterans with hip fracture. J Bone Joint Surg Am. Jan 2008;90(1):34-42. Schechter MA, Shortell CK, Scarborough JE. Regional versus general anesthesia for carotid endarterectomy: the American College of Surgeons National Surgical Quality Improvement Program perspective. Surgery. Sep 2012;152(3):309-314. Ingraham AM, Richards KE, Hall BL, Ko CY. Quality improvement in surgery: the American College of Surgeons National Surgical Quality Improvement Program approach. Advances in surgery. 2010;44:251-267. Auroy Y, Benhamou D, Bargues L, et al. Major complications of regional anesthesia in France: The SOS Regional Anesthesia Hotline Service. 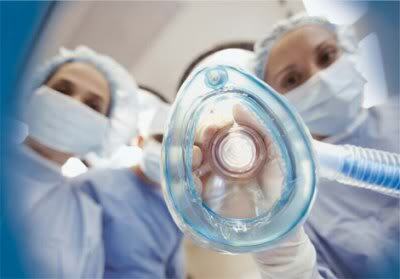 Anesthesiology. Nov 2002;97(5):1274-1280. Auroy Y, Narchi P, Messiah A, Litt L, Rouvier B, Samii K. Serious complications related to regional anesthesia: results of a prospective survey in France. Anesthesiology. Sep 1997;87(3):479-486. Barrington MJ, Watts SA, Gledhill SR, et al. Preliminary results of the Australasian Regional Anaesthesia Collaboration: a prospective audit of more than 7000 peripheral nerve and plexus blocks for neurologic and other complications. Reg Anesth Pain Med. Nov-Dec 2009;34(6):534-541. Barrington MJ, Kluger R. Ultrasound guidance reduces the risk of local anesthetic systemic toxicity following peripheral nerve blockade. Reg Anesth Pain Med. Jul-Aug 2013;38(4):289-297. Edwards MS, Andrews JS, Edwards AF, et al. Results of endovascular aortic aneurysm repair with general, regional, and local/monitored anesthesia care in the American College of Surgeons National Surgical Quality Improvement Program database. J Vasc Surg. Nov 2011;54(5):1273-1282. Exadaktylos AK, Buggy DJ, Moriarty DC, Mascha E, Sessler DI. Can anesthetic technique for primary breast cancer surgery affect recurrence or metastasis? Anesthesiology. Oct 2006;105(4):660-664. Myles PS, Peyton P, Silbert B, Hunt J, Rigg JR, Sessler DI. Perioperative epidural analgesia for major abdominal surgery for cancer and recurrence-free survival: randomised trial. BMJ. 2011;342:d1491. Day A, Smith R, Jourdan I, Fawcett W, Scott M, Rockall T. Retrospective analysis of the effect of postoperative analgesia on survival in patients after laparoscopic resection of colorectal cancer. Br J Anaesth. Aug 2012;109(2):185-190. Chen WK, Miao CH. The effect of anesthetic technique on survival in human cancers: a meta-analysis of retrospective and prospective studies. PloS one. 2013;8(2):e56540. Kehlet H, Jensen TS, Woolf CJ. Persistent postsurgical pain: risk factors and prevention. Lancet. May 13 2006;367(9522):1618-1625. Kairaluoma PM, Bachmann MS, Rosenberg PH, Pere PJ. Preincisional paravertebral block reduces the prevalence of chronic pain after breast surgery. Anesth Analg. Sep 2006;103(3):703-708. Schnabel A, Reichl SU, Kranke P, Pogatzki-Zahn EM, Zahn PK. Efficacy and safety of paravertebral blocks in breast surgery: a meta-analysis of randomized controlled trials. Br J Anaesth. Dec 2010;105(6):842-852. Wildgaard K, Ravn J, Kehlet H. Chronic post-thoracotomy pain: a critical review of pathogenic mechanisms and strategies for prevention. Eur J Cardiothorac Surg. Jul 2009;36(1):170-180. Neal JM, Brull R, Chan VW, et al. The ASRA evidence-based medicine assessment of ultrasound-guided regional anesthesia and pain medicine: Executive summary. Reg Anesth Pain Med. Mar-Apr 2010;35(2 Suppl):S1-9. Neal JM. Ultrasound-guided regional anesthesia and patient safety: An evidence-based analysis. Reg Anesth Pain Med. Mar-Apr 2010;35(2 Suppl):S59-67. Macario A, Vitez TS, Dunn B, McDonald T. Where are the costs in perioperative care? 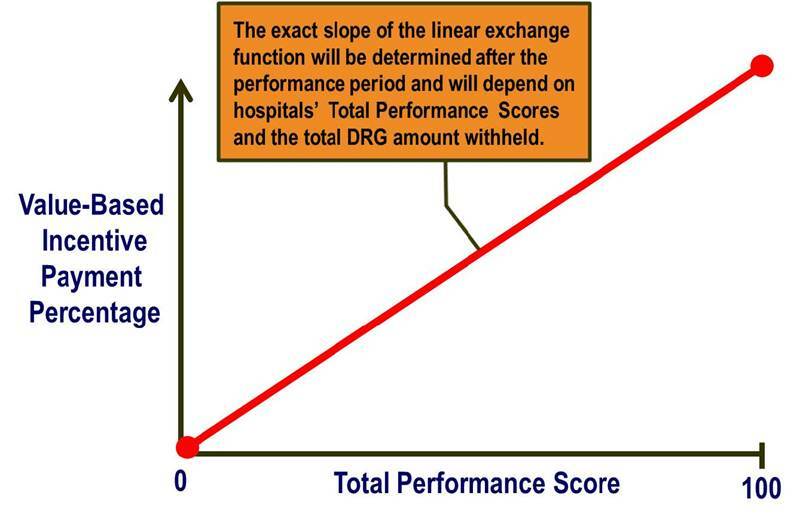 Analysis of hospital costs and charges for inpatient surgical care. Anesthesiology. Dec 1995;83(6):1138-1144. Ilfeld BM, Mariano ER, Williams BA, Woodard JN, Macario A. Hospitalization costs of total knee arthroplasty with a continuous femoral nerve block provided only in the hospital versus on an ambulatory basis: a retrospective, case-control, cost-minimization analysis. Reg Anesth Pain Med. Jan-Feb 2007;32(1):46-54. Jakobsen DH, Sonne E, Andreasen J, Kehlet H. Convalescence after colonic surgery with fast-track vs conventional care. Colorectal disease : the official journal of the Association of Coloproctology of Great Britain and Ireland. Oct 2006;8(8):683-687.